The staff handles the daily administrative operation of Ellis Baptist Association. Richard started serving as EBA’s interim executive director in January 2016 and became executive director in June 2016. 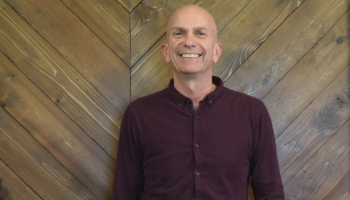 Richard’s passion for church planting, church revitalization, leadership development and community transformation has become the foundation for the mission of the association. He began serving on the EBA Leadership Team in 2007. In January of 2012 he became the Church Planting Associate. His Sunday School, small group, administrative and church financial experience is a great asset to the EBA churches. Richard and Terry have lived in Ellis County since 2000. All three of their adult children graduated from Midlothian and live in the DFW area. Darla married Brian in 1993 and they have three children, Megan, Dillon and Shane. They have spent a large portion of that time traveling around wherever the U.S. Army told them to go. They have moved 10 different times, and their homes have included Germany as well as many states here in the United States. Darla has over 25 years of diverse work experience, and is fluent in English and Spanish. She has spent much of that time volunteering at church as VBS director, Sunday School teacher and AWANA Leader/Director. Darla and Brian both grew up as missionary kids in Ecuador. Feel free to call or come by, she would love to see you, and looks forward to serving the congregations of EBA in any way that she can. Debbie retired from corporate life in 2010 with a background in administration, investments and finance. 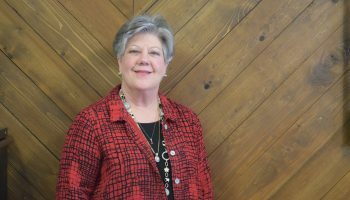 She is a graduate of Dallas Baptist University with an emphasis in business and accounting. 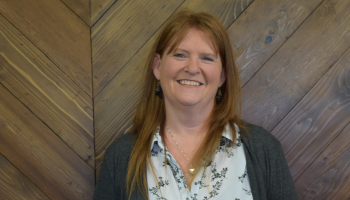 Debbie worked with EBA in 2011 and served on the Leadership Team and International Missions Board. In 2014 she earned her certification in Chaplaincy and is currently working as Chaplain for Baylor Scott and White Hospital in Waxahachie. Debbie is a member of Waxahachie Bible Church. She has two married sons with beautiful daughter-in-laws but the best of life is her grandchildren. This makes for harmony among the members, so that all the members care for each other. If one part suffers, all the parts suffer with it, and if one part is honored, all the parts are glad.